Pour the canola oil into a sauce pan and heat over medium high. Once the oil shimmers, add the cumin seeds and black peppercorns and cook, swirling in the oil until the seed brown slightly and become fragrant. Add the onion, ginger and chili pepper. Cook, stirring until the onion becomes translucent. Bring mixture up to a boil and then reduce heat. Allow the pineapple chutney to simmer for about 20 minutes, uncovered so that it can become thick. Wash the rice and soak for about 15 minutes. In the meanwhile clean the methi leaves ( remove from stem) and wash them and chop them coarsely. Make sure the leaves are washed in water atleast 3 or 4 times. In a pressure pan, pour ghee. Add cinnamon, clove and cardamom. Once the cardamom splutters add onions and sauté until translucent. Add the methi leaves and fry for a minute on a low flame. Add ginger garlic paste and continue frying till the raw smell is gone. Add the chopped tomatoes, green chillies and fry them till tomatoes are done. Next add all the dry spices and mix well. Fry till the ghee leaves the sides of the cooker. Add coconut milk in a thin stream and mix well. Add salt, sugar and stir well. 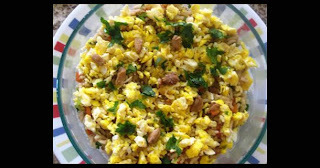 Once the mixture starts boiling, add soaked rice, lemon juice and water. Mix well and pressure cook it for 3 whistles. 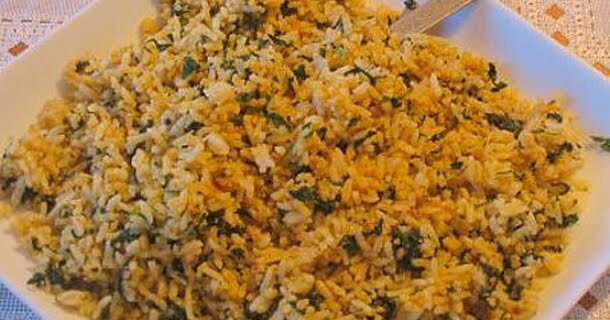 Once done just mix the rice slightly with a spoon so that the rice gets coated properly with the masala. 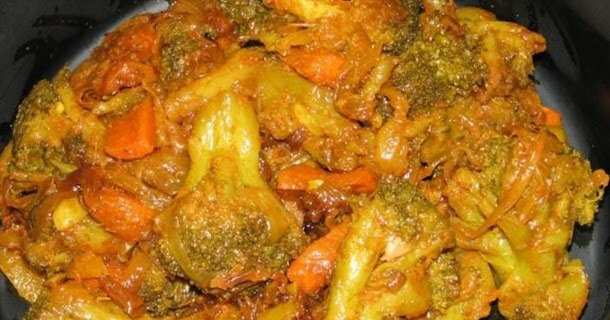 Serve hot with curd or raitha. Cut the boneless fish into square pieces. Wash it well and make it dry for 5 minutes. Squeeze the lemon on the fish pieces and mix it well. Keep it aside for 3 minutes. In the meantime, grind the onion, ginger and garlic into paste. Add salt and turmeric powder to the mixture and mix it well. Add the fish pieces and scramble the stuff to coat the pieces and keep it in refrigerator for 15 minutes. Heat oil in a pan and drop the fish pieces in it. Cook evenly on a low flame. 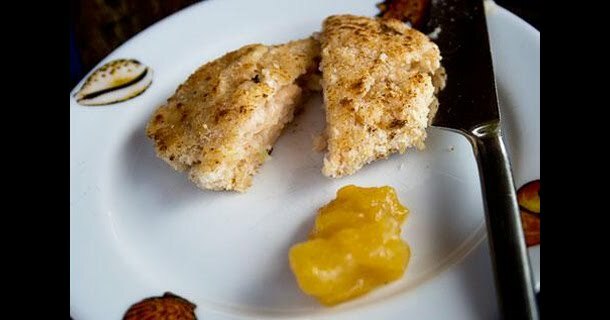 Serve hot fish Tikka with tomato sauce. 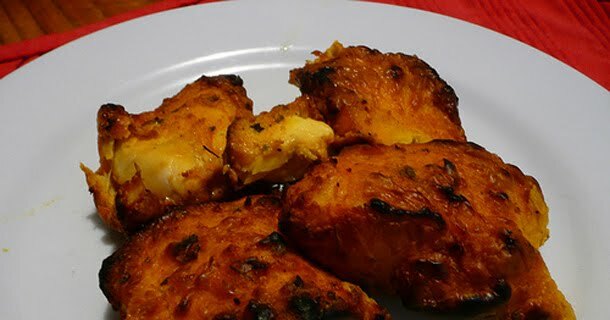 A simple and delicious fish Tikka is ready! 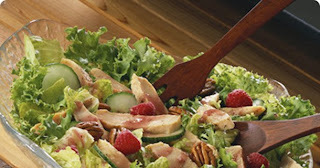 Wash the chicken pieces properly and give several cuts with a sharp knife. The cuts are usually made on both the sides of the chicken piece so that all the spices and lemon juice can get into the flesh nicely. 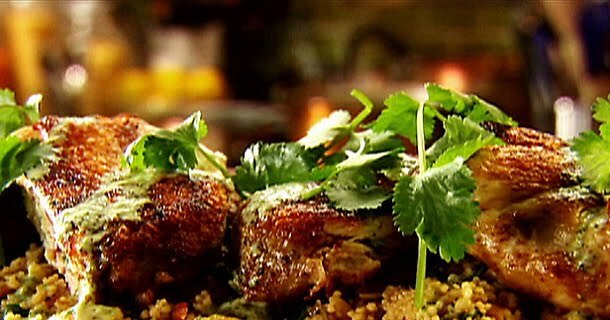 Marinate the chicken in a bowl with some black pepper, lemon juice and salt and keep it in a tight container for refrigeration for whole night. Take out the marinated chicken few hours before cooking otherwise it may take more time for cooking it. Heat the oil into the pan for 4 minutes. Make sure it’s well heated now and then add the bay leaf. Fry for a minute. When we get a nice aroma out of the bay leaf add crushed garlic and fry till brown. The garlic should be well fried so that the pungency will disappear. Whip the yoghurt in a bowl and then add put into it. Fry it for few minutes till a smooth pasty appearance comes. 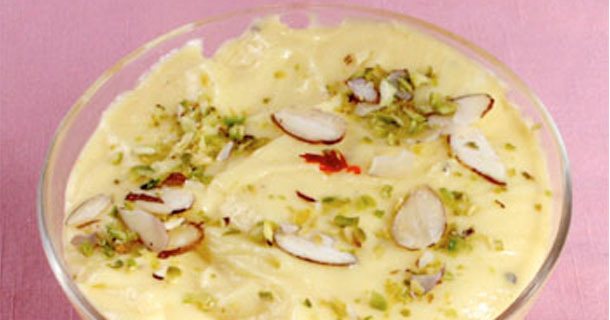 Add cardamom powder, cashew nut paste, salt and cook for 10 – 15 minutes at low heat. Cover the lid of the pan. The chicken will release juice which is enough to make it tender and well cooked. Add the cream now. A creamy whitish appearance of chicken will occur due to the cashew nut paste, yoghurt and the cream. Now add the freshly ground black paper into it and let it cook for 5 more minutes. Garnish it with chopped coriander leaves and fried onions. The Chicken Afgani is ready to be served with zeera or plain rice. First of all, heat butter fry garlic and ginger, put in minced chicken mix well. Stir in garam masala, salt and chilli powder. Add tomatoes and fry till tender, and the butter begins to separate, add onions, chillies and chopped coriander leaves and set aside to cool. First take 250 gm of wheat flour, rub in some oil and 1/12 teaspoon salt and add some water to make a dough. Knead well till it is smooth and pliable. Roll it out into a long roll about 2 inches in diameter. Cut into pieces of equal size and flatten it. Fill in the chicken mixture, put another flattened piece on the first and weld the edges. Now flatten and roll out with a rolling pin into a round shape and twice as large as the cut out circles. Shallow fry on a griddlew on both sides till light brown in colour. 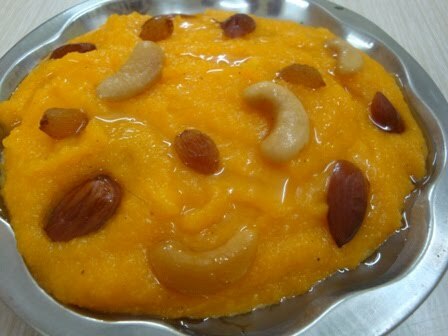 •Amchur powder/ dried mango powder or one can use the lime juice as its substitute. Wash brinjals properly and cut them into square pieces. Take a frying pan and heat some butter or oil. When the oil is heated enough add cumin seeds. It will sputter and a nice flavor will come out. Now add chopped onions and sauté till it gets light pink. Add salt now. Add ginger garlic paste at this stage. Fry, till it turns slightly brown. After few minutes, add the chopped tomatoes. Fry them and make it a thick gravy form. Add turmeric, coriander, red chilly, amchur or dried mango powder and garam masala powders (Add all the dry powders together) and cook till the masala mixes well and wait till it releases oil, otherwise a raw smell will come out. 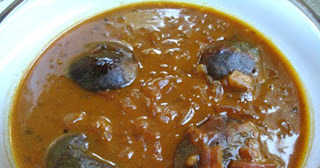 In Masala brinjal recipe all the spices should be well cooked. The tomatoes and red chilly powder actually add a lovely red color to this recipe. Now, its time to put brinjal into the pan with all the fried masala and cover the pan. Cook it in low flame. Open the lid of the pan and check if the brinjals are well fried. Then add little water and let it cook for couple of minutes. So it’s better if all the masala are fried first and then cook the brinjals as it takes less time to get softer and tender. Garnish the dish with chopped coriander leaves and long pieces of tomatoes. 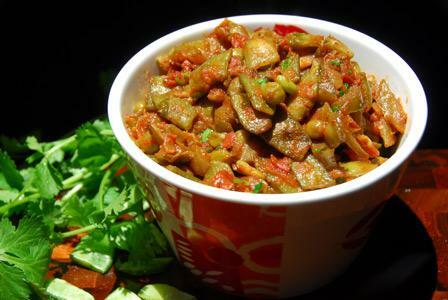 Masala brinjal is best served with Chapattis or Parathas. Place peppers, curd, lemon juice, garam masala, cumin seeds, onion, ginger garlic paste, turmeric powder and salt into an electric blender and blend the spices together to make a thick paste. Next, marinate the chicken with the prepared paste and leave it inside the refrigerator for about an hour. Meanwhile, prepare bhajia batter. Place all the ingredients needed for batter in a large mixing bowl and add enough water to make batter of dropping consistency. Beat well all the ingredients together. 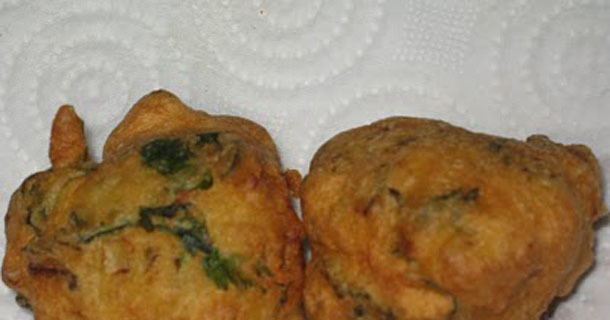 Now, heat enough oil for frying pakodas in a deep pan or kadhai over medium heat. Dip chicken pieces one by one into the batter and leave into the frying pan slowly from the side. Cook bhajias over medium heat until turns golden brown. Place the cooked bhajias on the tissue paper to absorb extra oil from them. 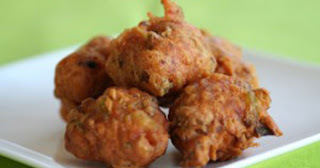 Spicy chicken bhajia is ready to serve. 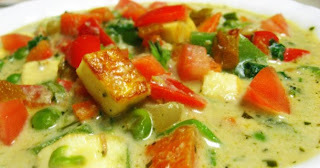 serve it hot along with tea and green chutney, tomato catchup or chili sauce. First take yeast powder and sugar and soak in lukewarm water for 5-10 minutes. Take flour into a mixing bowl. Add salt and mix with the diluted yeast. 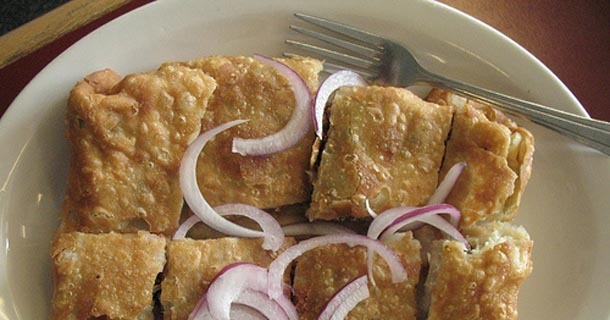 Make soft dough like for chapattis. Keep aside for 4-5 hours till we make the choley recipe. Soak the Garbanzo beans/Chick peas in water for 7-8 hours till they become soft. We can soak over night also. Latter is more preferable. Now take 4 cups of water in a pressure cooker Add salt and baking soda( it will make the peas softer), close the lid of the cooker and wait for 3 whistles to come or cook for 5-7 minutes. Drain the stalk and keep it for further usage in this recipe. Take 2 tablespoons of oil in a pressure cooker and heat it. Then add cumin seeds fry till they sputter. Add ginger garlic paste and make it dark brown. Add bay leaves, cloves and diced onions. Fry them till light brown. Now add the rest of spices (turmeric powder, red chilly powder, gram masala), tomatoes and salt including the pea stalk. Stir fry for 5-6 minutes till the spices get separated from oil. A nice aroma will come out from the fried masala.Add the boiled chick peas or the Garbanzo beans into the spices mixture. Mix well so that the beans are coated with the spices. 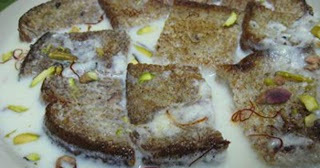 Our delicious choley is ready. Garnish with cilantro and mint leaves. We can sprinkle lime juice also to get a tangy taste. 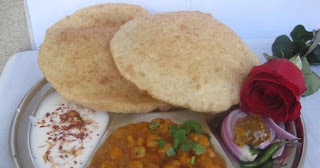 Now it’s the time to serve the choley with the bhaturey. Take out the dough for making the poories.Make small balls and roll each balls into small tiny sized chappati.It needs to keep it thicker , that add taste to the bhaturey.Deep fry them in the sauce pan till both sides are golden brown.Choley baturey is always served hot. Beat all the raw spices (cilantro roots, cardamoms, clove, ginger, black peppers) together and set aside.Heat a deep pan over low-medium heat and place 1 tsp coconut oil into the pan, then add beaten spices mixture and stir for 2 minutes.Add green chillies, shredded lime leaves and coconut milk. 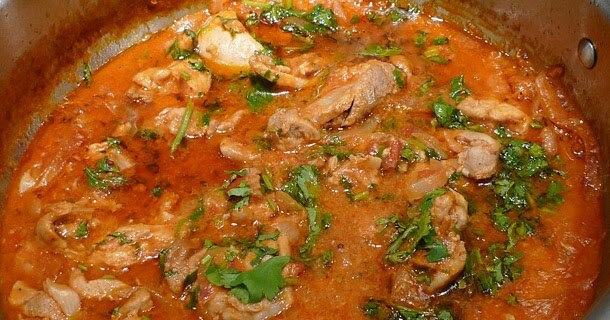 Simmer the heat and let it cook for 3-4 minutes while stirring quite often, then add chicken pieces and allow it to cook until chicken turns tender and curry gets thicken (nearly 45-50 minutes).When chicken is done, mix lime juice and salt. Cook for 2-3 minutes and turn off the heat.Spicy coconut chicken is ready to serve. Garnish it with chopped cilantro leaves before serving. 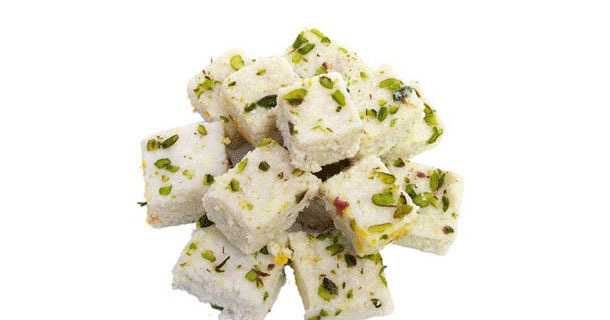 It goes best with white basmati rice, Indian parathas or naan. Heat a deep pan over medium heat and add all the milk into it. Bring milk to boil then simmer the heat and add saffron leaves, allow it it cook until quantity of milk reduces to half and some cream chunks starts forming. Add ground cardamoms and sugar and cook for few more minutes until it gets thickened. Turn off the heat and let it cool. Add chopped nuts. Now, place the Basundi inside refrigerator until chilled beacuse Basundi tastes best when serve chilled. Cut the chicken into 2 inch square cubes. Add ginger-garlic paste, lemon juice and salt over the chicken pieces and mix it well. Heat some oil in a non stick frying pan, add cumin seeds and when seeds turn brown, add green chillies and saute. When done, add chicken pieces and roast them. Now, add yogurt and chopped cilantro leaves and let it cover with a lid and cook for around 20-25 minutes until chicken is done.sprinkle broken mint leaves over the chicken, stir it again. Masala Chicken is ready to serve. Serve it hot with naans, tandoori roties or parathas. *Wash and soak rice and tuvar dal in water for 30 minutes. 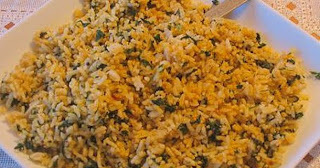 The rice should not go very soft on soaking. 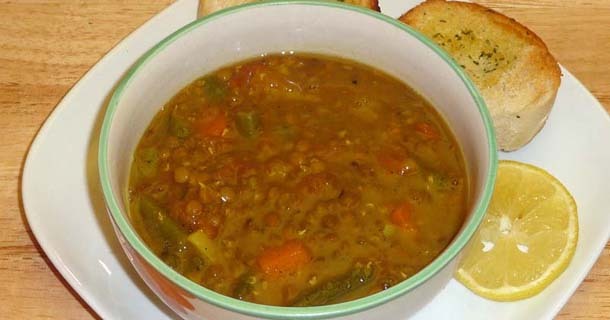 *Depending on the variety of the rice, the soaking time can be adjusted.Drain the water, leave the rice dal combo on a colander for sometime so that any water left will be completely drained. *Spread on a dry kitchen towel. This will take some 15 mts. Don't dry under sun. *Make a coarse powder in a mixer grinder. The texture of the flour should be like rava (sooji). Prepration of the upma for the kozhukkattai. Take a kadai. Do the seasoning as given. Add water and salt. Wait till the water starts boiling.When water starts boiling, slowly add the rice flour with out forming lumps. Let it cook. When the water is completely absorbed, add grated coconut. cook for 2 minutes. 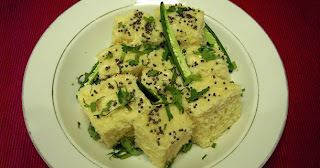 *Now upma consistency will be reached.Transfer to a plate. Let it cool. *When it is warm enough to be held in hand, take the cooked dough and make balls to the size of tennis balls. Usuall the shape is not perfect rounds but more like the shape of an egg.It is always rolled with one hand. 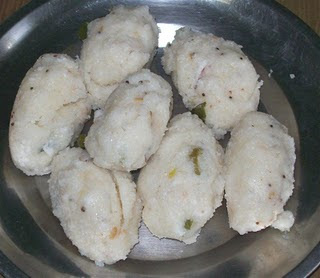 *Place the balls on a idly steamer and steam cook for 10 minutes. Kozhukkatais will have a glossy appearance once it is cooked. *Serve with coconut chutney or sambhar. Mix flour and coconut together and keep aside for an hour or so. While mixing this way, the flour will absorb the moisture from coconut and the flour will turn fluffy. The mixture will turn dry and it will ease in roasting. Heat a kadai. Roast jeera ad then add the flour mix to it. Roast in medium heat, till it is light brown. I love the the aroma of roasted rice and coconut. If there is any lumps, try to break it with hand. Or to get a uniform texture, just pulse it in a mixer for few seconds.While serving, take some avalose podi and mix in sugar and eat. Optionally, you can slice some banana pieces and mash it along and serve. Personally, I like to eat with sugar only. Note: Roasting should be done on medium heat so as to bring out the flavors and for even roasting. 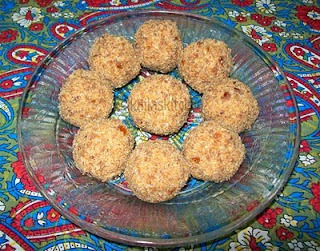 Traditionally, avalose unda is made with jaggery syrup mixed in and rolled into balls. Here I made the balls using dates. Finely chop the dates and pulse it in the mixer grinder. Mix in the avulose podi and make into balls. This makes a healthy snack with natural sweetener.